Reading primarily young adult literature, I’ve found that, if given a choice, I’ll choose a story that involves a romance over a book that doesn’t. What can I say? I love love. It makes my little world go ’round. But I find that I’m drawn more to stories where the characters have more than a passing attraction — I’m an old-fashioned romantic. Give me the grow-old-together, heart-stopping, sacrificial, I’m-all-in, forever kind of love, and I’m a happy girl. But there’s always this little niggling thought in the back of my mind when I read about people so young falling in love. Is it realistic? Can people really find true and lasting love at 17? 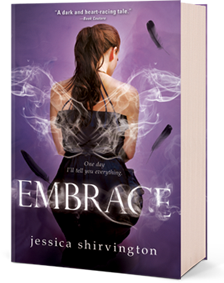 Embrace has been published by Sourcebooks Fire here in the States, and is available RIGHT NOW! So go check it out! awwww How sweet! 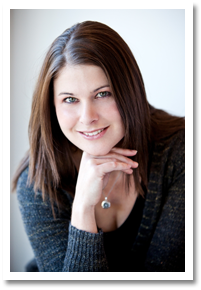 Congrats to Jessica Shirvington for 11 years of marriage. Always nice to hear a happy ending story because I’m a big pessimist! LOL Can’t wait to read it. I love angels and a good romance!